I hope everyone is off to a great school year and looking forward to a wonderful Thanksgiving holiday with loved ones. Although we are still only in the third month of school, we have had a very busy and productive year so far here in Plainedge. 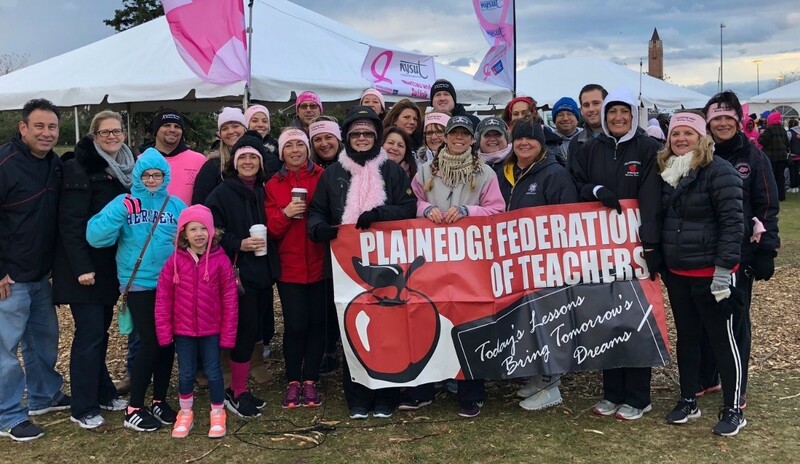 During the months of September and October, our PFT Making Strides Chairperson, Deb Sosman, and all her building captains were busy collecting donations for the Making Strides Charity Walk at Jones Beach. As a result of all their efforts, the PFT was once again able to donate almost 5,000 dollars to aid in the fight against Breast Cancer here on Long Island and around the globe. The month of October also brought our yearly general membership meeting which was well attended by over 75% of our sisters and brothers. At the meeting, we heard from one of the lawyers in charge of our new legal plan and learned about the negotiation process from our NYSUT Labor Relation Specialist, Mike Leone. In addition, our Vice President, Brian Buckley, spent time reviewing the results of our initial contract survey with all our members. The afternoon concluded with a couple of members winning some raffle prizes and a few conversations with all the vendors who sponsored our meeting. After the meeting was over, one thing was certain; it was definitely a great afternoon to be part of our union! During November, the PFT leadership was proud to organize our very first Will Day. Even though the afternoon brought some surprising snowfall to Long Island, we still had almost 50 members show up to get their free will, health care proxy, power of attorney, and living will documents written. Our next Will Day is set for Monday, December 3rd and our members should be on the lookout for an additional day in the spring, along with a couple of Will Signing Days as well. 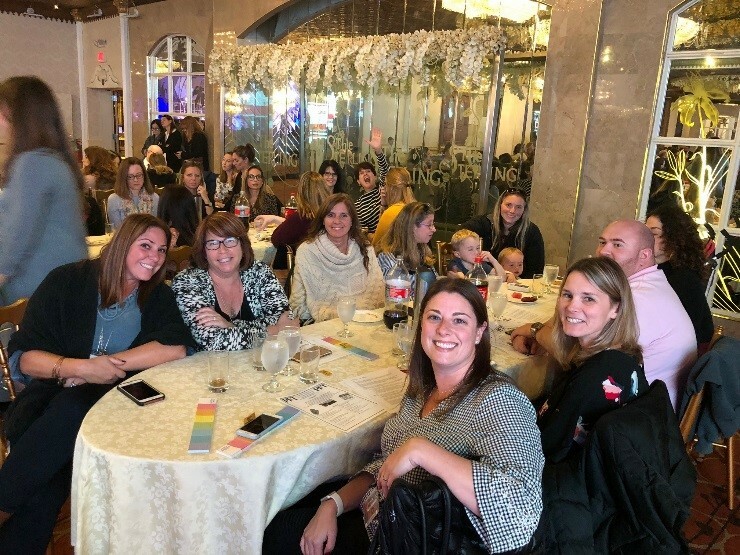 On Thursday, November 29th, the PFT is very excited to welcome all of our new members with a dedicated happy hour at the Main Event in Farmingdale. Please click here for information about the event and make sure to mark your calendar. So far, we have had 100% of all new hires at Plainedge sign up to be part of our union, which is a clear indicator of our union's strength. It is important that we recognize the new hires for their willingness to enhance our solidarity and make them feel welcome in our union family. In the months to come, our PFT negotiating team will be attending numerous training sessions to prepare for contract discussions with the District, which should commence towards the beginning of February. It is the hope of the PFT leadership to have a fair contract that is representative of all our dedicated work, sometime before we leave for summer recess. In order to help the negotiating team prepare our strategy, it is very important that our members fill out the second contract survey which was emailed out to the membership last week. If you haven't received the survey link, please contact your PFT building representative as soon as possible. Finally, I would like to take this opportunity to reflect on all that we have to be thankful for at this time of the year. While many hard working Americans struggle to provide for their families, we are fortunate to be part of a union that negotiates fair salaries, health insurance, job protections, and many other benefits which enable us to take care of our families. I wish all of our members a very Happy Thanksgiving and I look forward to seeing many of you at our upcoming New Member Event on the 29th! In Solidarity.